1 What is Live Search? A live Search is a search form which displays the result as you type. It acts like the Google Search Autocomplete or we can say the AutoSuggest feature. So, it makes it easier for the users to find what they are searching for. Now a day Live search is an essential aspect of any user interface and user experience on the website. In this tutorial, we are going to highlight the process of building the Live Search engine for your website. As you type anything then Result is displayed on the screen. When results become too narrow, then remove characters to see a broader result. This table is to store the details like here I have stored the details of the user. This page will appear whenever a user opens the site, this page contains simple web interface that allows the user to live search, where the user has to enter any word or letter to search the whole details just like an autocomplete. This page contains all record of data which is available in MySQL database. Create a PHP file named “index.php” and paste the following code inside of it. When an input is entered in the search bar then the jQuery sent an Ajax request to the add.php file. And retrieve the search result from the user table and displayed it to the user. And this page contains the source code of “add.php” file which searches the database, against the ajax request sends by query string. 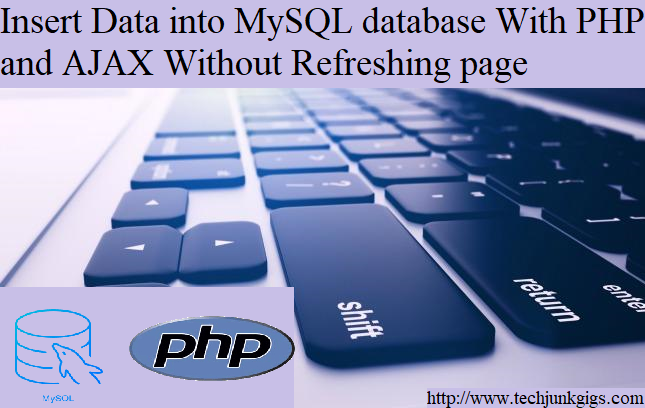 I hope this article helped you to know Ajax Live Data Search using PHP and MySQL. To get the latest news and updates follow us on twitter & facebook, subscribe to our YouTube channel. And If you have any query then please let us know by using the comment form. I’m glad to know that you like it. thanks for stopping here. Coding is one of the best skills anyone in the online world need to learn. It actually allows you to do a lot more than you can imagine. I’m actually not into coding, but it is a must try for me. Hi, Abhishek Kumar. Nice code, thanks. Plz, can u help me, How can I do individual column live search? Thanks Sergiy for the your feedback..
Abhishek Kumar, without “OR”, individual. 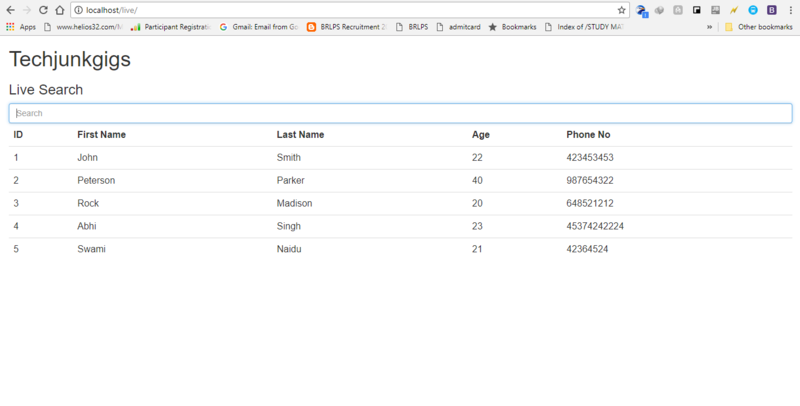 4 input search – searching data from 4 table column – only phone number. I do this, added add2.php with code for seraching by 2 column, and code load_data2 at JS, but it many rows of code…. Datatables script its good, but not for me. Thanks.